The paper honour roll commemorates those who served in World War One. 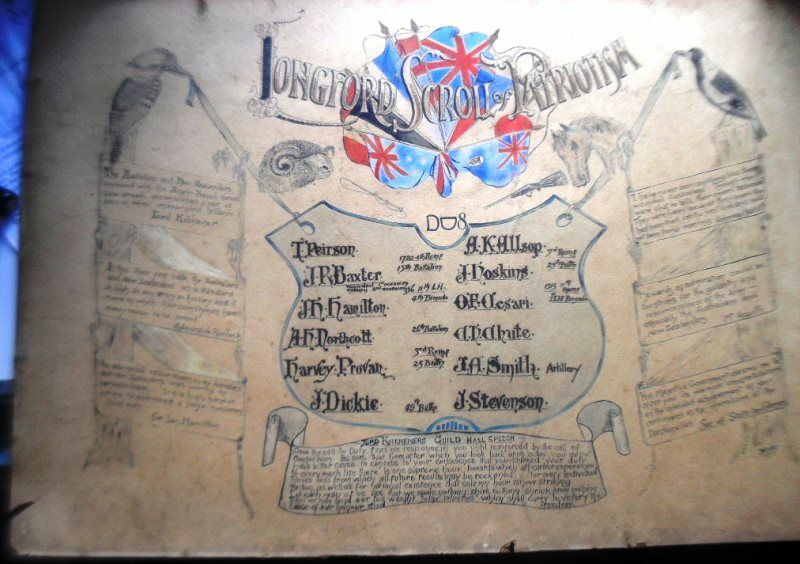 The origin of this scroll is unknown, but research on some of the names suggests that it may have originated from “Longford Station” which is near Stewarts Creek, about 210 kilometres from Longreach. Note : This scroll is in “private possession” and is not able to be viewed by the public.